The New York Times caught hell for an article characterizing television producer Shonda Rhimes as an “angry black woman,” but anger is still privileged in “post-racial” America. The only thing more shocking than Alessandra Stanley’s New York Times article that called Shonda Rhimes — creator of hit television shows like “Grey’s Anatomy” and “Scandal” — an “angry black woman,” is that the piece made it into print without anyone at the New York Times realizing how offensive it would be. 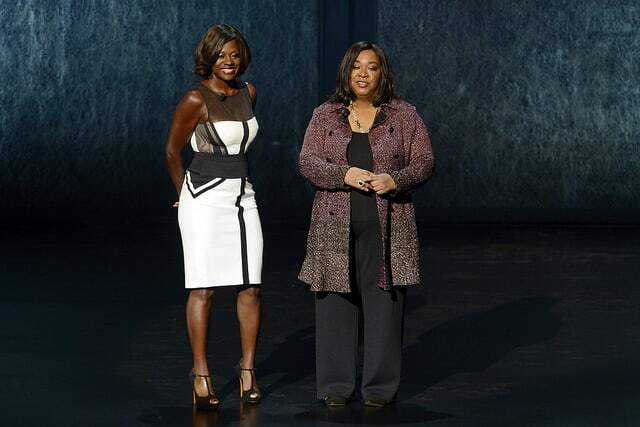 Stanley even described Viola Davis, star of Rhimes’ latest show “How To Get Away With Murder,” as “less classically beautiful” than lighter-skinned actresses like Kerry Washington or Halle Berry. Still, nothing raised red flags for Times editors? Not even after the “no angel” controversy? It’s shocking, but not surprising. Much has changed in “post-racial” America, but just as much hasn’t changed. What was true during the 2008 campaign, when conservatives like Cal Thomas labeled Michelle Obama as an “angry black woman,” is still true. In American culture, anger is a privilege. Twenty years ago, when “angry white men” swept Newt Gingrich and the Republican majority into Congress, few questioned that their anger was justified. It was assumed they had a right to be angry. Their anger commanded attention. It was to be feared, and remedied. Not so for so-called “angry black women.” For minorities, anger is dangerous. If you are a woman, or a person of color, gay, etc., your movements must be slow and deliberate, your voice modulated, and your anger must ever show. Joy is permitted. You may sing and dance to express your joy. It is a performance, sometimes demanded even in the midst of despair. Suffering is permitted. It is familiar and non-threatening. It can reaffirm the power and privilege of others. Sadness is permitted. You may mourn, moan, keen, and weep in your despair. Fear is permitted. Like suffering and sadness, it is familiar, and reaffirms the power and privilege of others. Stoicism is permitted. It’s necessary for survival. You may construct and wear a mask so effective, that it becomes a blank screen upon which others project their thoughts and emotions concerning you. All of these things are allowed, but not anger. Anger implies entitlement, whether to material goods, power, privilege, or respect. Anger implies a right to expect something, and is a justifiable response to not receiving one’s due. And you aren’t due anything you’d have a right to be angry about having been denied. It’s a cultural norm so deeply embeded that even the President and First Lady of the United States, can’t escape it. Since 2008, Barack Obama has been the candidate and the president who can’t afford to get angry. For hundreds of years, showing anger — even justified — was a literal death sentence for black men. If the deaths of young black men like Trayvon Martin and Jordan Davis are any indication, it’s still a death sentence. In Ferguson, anger over the death of yet another young black man at the hands of police, was not only treated as unjustified, but met with paramilitary weapons, and teargas. White tea partiers can get angry, and turn town hall meetings into melees — as a strategy. Rush Limbaugh, Sean Hannity, Glenn Beck, Bill O’Reilly, and Neil Cavuto can get angry, and rile up their audiences. Cliven Bundy’s supporters can point weapons at federal officers and threaten to kill them, without facing military-style tanks, teargas, or the paramilitary force that Ferguson protestors were met with. To be labeled an “angry black woman” or an “angry black man,” however, is to be dismissed as a cartoonish stereotype. Worse, any show of anger means being seen as a threat. Either way, the “angry black man” or “angry black woman” is someone who must either be put in his or her place, or effectively put down to preserve the status quo. Then black women started talking back. Women like lawyer Patricia Washington wrote letters taking the Times to task, and pointing out that none of Stanley’s other stories “refer to any white producers of TV or film programs in racist, stereotypical terms.” A petition circulated, demanding an apology an a retraction of the article. Melissa Harris Perry wrote a searing critique, exposing the absurdity of Stanley’s article by re-imagining it as an article about a white, male producer. Rhimes tweeted her own thoughts about Stanleys’ article. Ultimately, — having roused the justifiable, righteous anger of countless black women, by reducing them to a stereotype — Times public editor Margaret Sullivan apologized for the “astonishingly tone-deaf and out of touch” article.